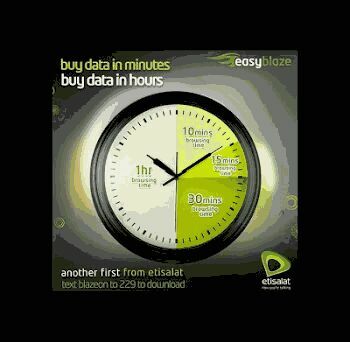 Etisalat has just introduced a new time based data plan which they call the BlazeOn data plan. This plan is mainly for those who download and stream a lot as it gives you unlimited data within the specified period of time. This isn't actually the first time Etisalat is doing something like this. For those who remember, Etisalat introduced something similar to this back then in 2014 before it was later discontinued due to the loopholes. Just as I mentioned earlier, this data plan is most suitable for those who want to download or stream online, as long as you have a very strong Etisalat network reception. Below are the list of available plans and their prices. or you can go for the 1hour plan. >> Text “blazeon” to 229 or just download & install the blaze on app from this LINK. >> Set up the app and you are good to go. Note that the app is currently available for android version 4.0 and above for now. The 9mobile Blazeon app works perfectly on my device.